An award-winning OH physiotherapy intervention at retailer John Lewis Partnership has achieved a return on investment of 5:1. Phil Clayton explains how. The John Lewis Partnership (JLP) has traditionally invested significantly in the health of its partners (employees) believing that, in order to provide first-class customer service, their partners need to be fit. While others in the industry have reduced or pulled away from providing employee health services, JLP continued to believe it makes a real difference. In an industry that employs people across a wide spectrum of both physical and office-based jobs, JLP was keen to establish a solution to help its employees recover more quickly and safely from injuries and conditions that required treatment, as well as putting in place wider OH and preventative measures to safeguard their wellbeing. Medical evidence also shows that early physiotherapy intervention on musculoskeletal disorders (MSDs) can prevent acute conditions becoming chronic and promote swifter recovery, faster return to the workplace and improved productivity levels. JLP employs about 94,000 partners across 414 UK sites, including John Lewis and Waitrose stores, distribution centres and group sites. The range of job roles is vast – from retail sales to warehouse operatives, office workers to security workers – and many positions can be physically demanding. 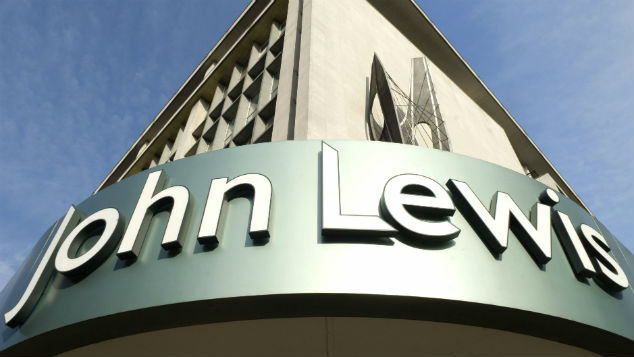 The John Lewis Partnership saved itself 41,000 working days. Access to physiotherapy delivered a 5:1 return on investment. Almost all (96%) staff maintained at, or returned to, work. 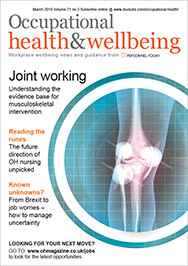 With access to NHS physiotherapy via GP referral taking up to 14 weeks, partners suffering from MSDs were often absent from work for extended periods, or were less productive at work while waiting to access treatment. JLP wanted to offer all partners consistent and timely access to physiotherapy services, to help reduce the incidence, duration and recurrence of musculoskeletal injuries and associated sickness absence. provide the above with an evidence base demonstrating value for money. JLP’s health services are organised and overseen by their internal partnership health services team which commissioned their physiotherapy provider, Physio Med, to come up with a robust, blended physiotherapy intervention and OH approach that would speed up partners’ rehabilitation from injury and have a material impact on the productivity of the business. Physio Med had worked with Waitrose since 2006, providing physiotherapy services. In August 2013, Physio Med began working with the JLP partnership health services across the entire group, to implement its innovative, and award-winning, PAL (Physiotherapy Advice Line) service, which provides fast access to a blended approach of fast-track telephone triage, remote multimedia self-management and on-site face-to-face treatment and advice. Physio Med also put an enhanced OH physiotherapy service into operation, which included display screen equipment (DSE)/ergonomic assessments and functional capacity assessments for all partners. Partners reporting an injury via the JLP health hub receive a triage call within four hours, followed by an initial assessment from a senior chartered physiotherapist within a maximum of three days. This incorporates a series of evidence-based clinical questions and movements and tasks to facilitate diagnosis to decide if they require face-to-face treatment or can self-manage their condition via PAL. an individually tailored progressive exercise programme created by the physiotherapist to speed up healing, communicated via comprehensive video exercise files, and accessed via a computer, smartphone or tablet. Face-to-face treatment is provided at a JLP on-site facility or referred to one of 780 hand-picked practices across the Physio Med UK network. With average access time for NHS physiotherapy standing at more than 14 weeks, one of the key drivers for JLP was reducing the time that employees were absent from work and improving the productivity of those at work but who were suffering pain. Between February 2014 and January 2015, 2,324 appropriate referrals were made to Physio Med, with initial assessment appointments taking place within an average of just 1.9 working days of the triage call. Almost seven referrals in ten (67%) were managed remotely, with 18% being referred for face-to-face intervention after the initial assessment and 15% being referred for face-to-face after the full ten day remote intervention. More than half (58%) of the partners were discharged after ten days, as their condition was either resolved or they were able to effectively self-manage their condition. At the point of referral, 20% of employees were absent from work, with 25% at work on modified duties and 55% at work but suffering pain and therefore operating at reduced productivity levels, highlighting the hidden cost of presenteeism. Of those employees off sick at the point of referral, 89% returned to work following treatment and, overall, 96% of all who used the service were safely maintained at, or returned to, work. By ensuring partners were referred and treated quickly, those who used the service reported an average reduction in pain of 55% and improved productivity and function in real terms by 24% (59% to 83%), equating to 1.2 days per person, per week, for those working a five-day week. Those referred for face-to-face treatment received an average of just over four physiotherapy sessions. In summary, the PAL service enabled a much faster response, which typically facilitated much greater recovery during the first 10 days for the less complex cases rather than the weeks of waiting for traditional face-to-face treatment. With two-thirds of partners benefiting from the fast-track approach, JLP has seen partners’ recovery rates improve while they have been able to continue to work and increasingly improve their productivity, rather than take sick leave. In the longer term, and consistent with medical evidence, an earlier intervention is also expected to have a positive impact on preventing acute conditions developing into complex chronic conditions. In addition, as part of the complete OH physiotherapy service offered by Physio Med, a further 934 referrals were made and carried out for display screen equipment, workstation and functional capacity assessments. In financial terms, the blended service model and fast access to treatment has bridged the gap in the NHS physiotherapy waiting list, helping JLP to reduce sickness absence and improve productivity – saving thousands of working days. Based on the 2,324 partners who engaged with PAL over the 12 months, JLP estimates it saved 41,010 working days, delivering an estimated saving of more than £2,676,000, which equates to a return on investment figure of 5:1. Physio Med reports back to JLP on a host of criteria – including anatomical injury site, referring locations, job roles and further breakdown of the service impact on pain levels and productivity – identifying trends to help JLP put practices and measures in place to reduce future injuries and issues. Nick Davison, head of partnership health services at JLP, said: “The range of operational roles throughout John Lewis Partnership is extremely varied, with many being quite physically demanding. As a business which invests significantly in the health of our partners we have developed our own unique internal health services structure. Physio Med recognised the importance of working with and complementing our own internal OH resources and adapted their ways of working to fit within our own operations. “Physio Med was able to highlight that half of our partners were receiving treatment while still working, but at a significantly lower level of productivity. The success of the service was recognised and rewarded at the recent Rehabilitation First Awards where JLP won the Rehabilitation Initiative of the Year – Employer category. Phil Clayton is managing director of Physio Med.